TL;DR Here’s how to get free magazine subscriptions like Time, Wired, Forbes, Entrepreneur, Esquire, People, etc. I’ve been doing it for years. You should too! Hey guys, it has been a long time and I haven’t written anything for this blog in months. 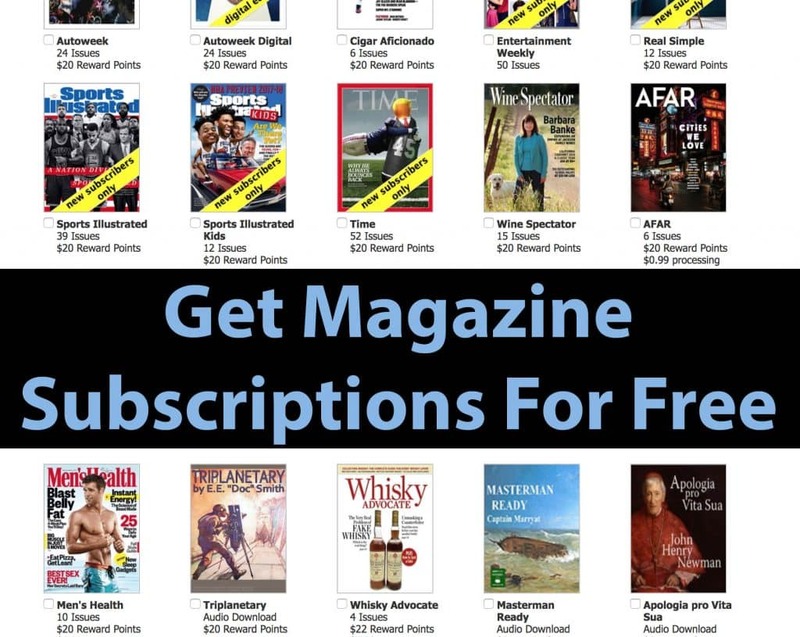 So to make up for that, I came up with this idea to teach you how to score free subscriptions to really popular magazines like Time, Wired, Forbes and more! Make sure you read this post and let me know in the comments section below if you have any questions. About an year ago a friend of mine showed me really expensive magazines. Some of them costed beyond $200 per year in subscriptions. I was curious why he would buy all of that. He told me he did not buy them; he got them for free by filling out online surveys using his least used (or dummy) email address. One day we sat down and he made me sign up on a few websites which let me take quick 2 minutes multiple choice surveys. In exchange, they gave me credits which could be redeemed for magazine subscriptions. The coolest part about this lifehack is that anyone can do it as long as they have a US mailing address, a phone number (use smartphone app called TextNow to get a dummy number), a dummy email address, and a one-time 30 minutes of free time. 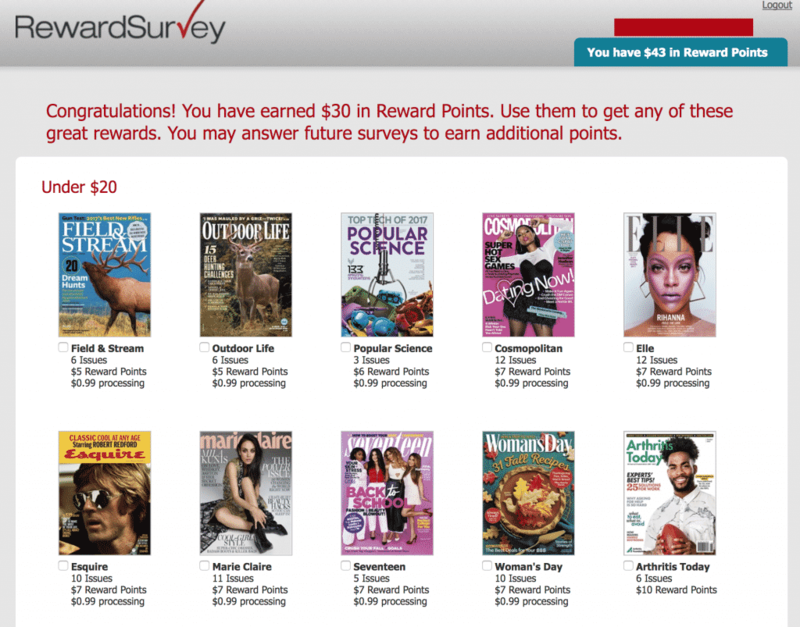 RewardSurvey is my best choice for getting free magazine subscriptions. Hands down, it is simple and quick and user-friendly. Sign up using a dummy email address. You must have a US mailing address. The mailing address is required because that is where they send you your monthly, bi-weekly, or weekly magazines depending upon which magazine it is. Needless to say, use a dummy email address to sign up. You can use a dummy name if you have a POBox number. Otherwise, it is okay to use your own name because the magazines subscription have to be on your name. Otherwise it would not make sense, duh! The surveys are quick and easy. Around 20 questions. 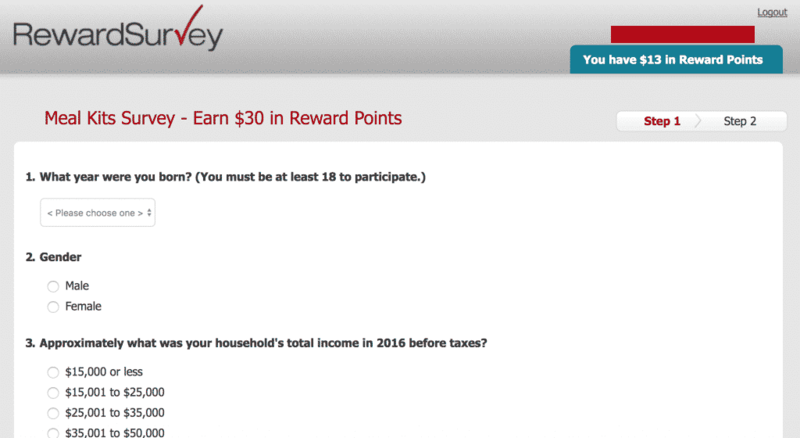 NOTE: RewardSurvey gives you 1 survey each week at the very minimum. If you keep on taking surveys, sometimes I have noticed they give out multiple per week. Each survey is worth $30. For reference, Time magazine subscription for an entire year is $20. Forbes is $30. If you cannot find what you are looking for, some of the magazines that are not available on RewardSurvey is provided on RewardBee. You don’t have to pay at all. 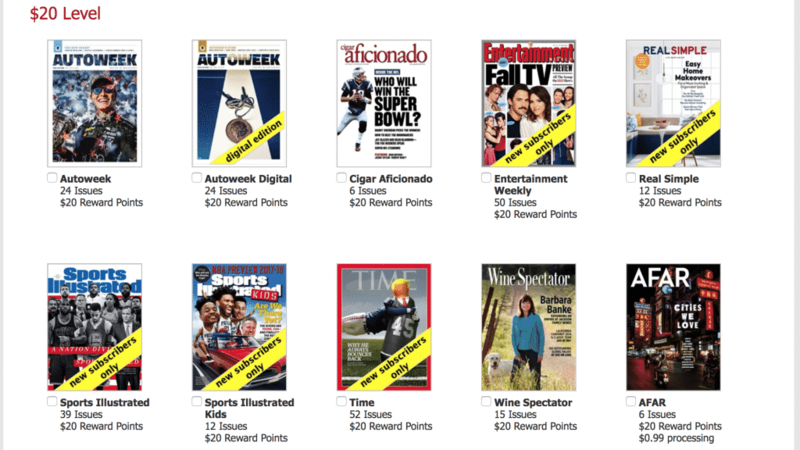 Every magazine on there can be redeemed just by filling out quick 2 minutes surveys. I often just provide neutral answers on all the questions. They have a large collection of surveys that you can take and each survey has some dollar amount (usually $20) associated to them. Once you complete them, you are good to go! Simply select the magazine you want and provide mailing address. No need to pay at all. No need to enter credit card details. If you have any comments, please let me know. Also, are there other websites you have been using to score free subscriptions? Please share your wisdom with me.